These do look great! I have been craving some cobbler as of late. Maybe this is exactly what I need instead. I bet they taste wonderful. I love the simplicity of these. There’s nothing worse than a difficult summer dessert. I am just staring at these willing them into my mouth through the screen. The perfect treat for summer. Give me peach any day of the week and I’m sold. These look delish! This looks like an attention-getter all on its own for parties. They have such vivid color and texture – I would like to try one myself. These surely look like little entertainment pieces all by themselves for get togethers! They have such vivid color and texture – I would be very curious to taste them. These make me want to make some right now. They also look so cute and rustic in those jars. I love fruit crumble! It’s so versatile because you can really use just about any fruit in it. 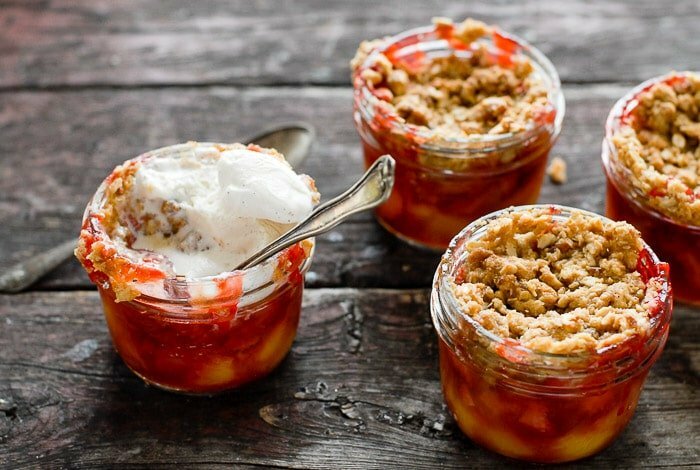 You can never go wrong with a dessert in a jar. I love a good fruity dessert in the summertime! Those look so delicious! I feel like they would be a great dessert at a summer bbq! These will be great to have this summer as a little treat! 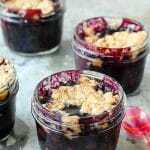 I love using mason jars for stuff and I have kids who would gobble this treat right up. Thanks for a great idea! Oh my, these look WAY too good! I love individual desserts, they are such a cute option. Oh boy is my mouth watering! 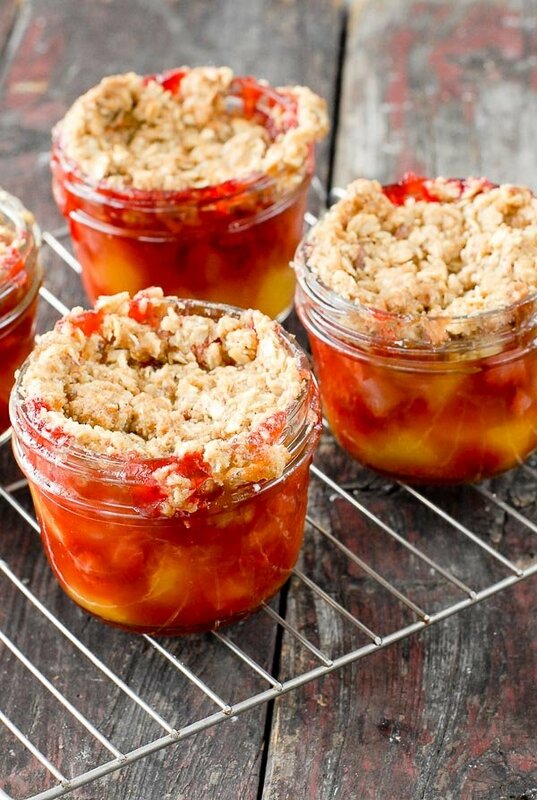 I love the idea of topping these fruit crumble jars with vanilla ice cream. Yummy! Summer fruits are something I love to take advantage of in the few short months. 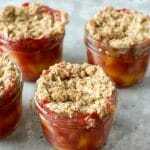 Those crumbles lok amazing and a great way to enjoy the fruit. I want to dig in! These are fabulous! 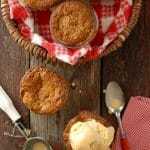 Thanks for sharing another awesome recipe with us. I say with us, because my wife uses a lot of your recipes, and they’re all incredible. Bill that makes me so happy! Thank you! OMG, those look so amazing! ANYTHING is better when you put it in a jar. Thanks for sharing! This look so yummy. I am going to make this recipe for my dad on Father’s day, I think he will love it. He is all about desserts. Thanks for sharing. They were gobbled up pretty quickly by my taste testers! I love the combo too, both for the color and the flavor! Thanks for hopping by Addie! I agree! 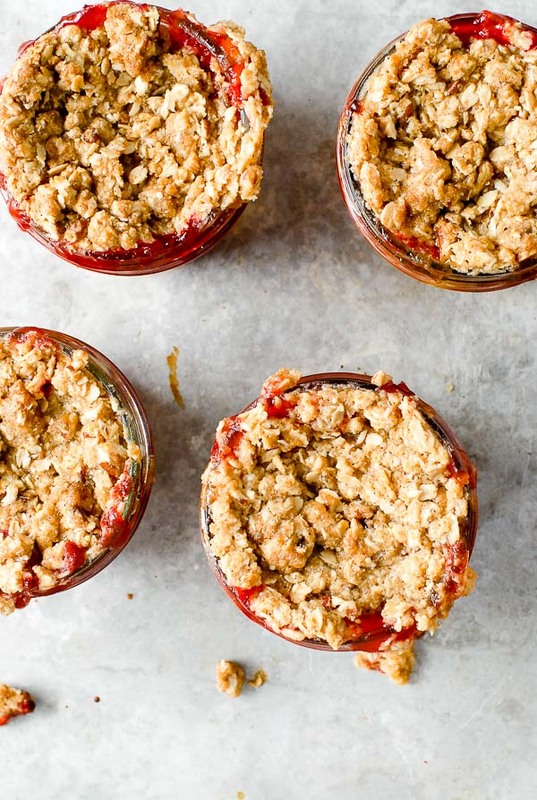 Isn’t that a simple but fun twist on a classic seasonal dessert?! Oh what a great idea for a cookbook. Mason jars are amazing in my book. 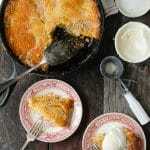 I want to try this recipe – love it! It’s so creative too Grace. I wish I had a week just to do Mason jar crafts and recipes! I too have an abundance of mason jars and love finding new ways to used them besides canning. 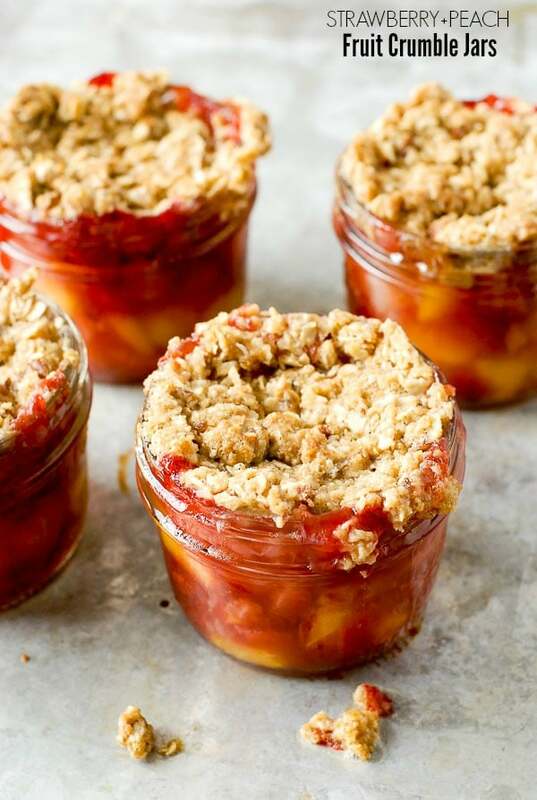 This dessert screams happy summer flavors and is the perfect size. You photos make me just want to dive in and is the perfect eye candy for this recipe! Thanks for sharing. Thank you Robin! I think this recipe could be easily mixed up to accomodate any fruit of the season! I envy you an apricot tree! We have a miniature peach tree in our yard which fruits unpredictably. It does not look that we’ll have any this year I’m sure from our late snows. 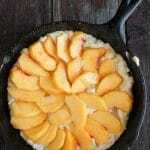 I’ll live vicariously through your apricot cooking adventures!